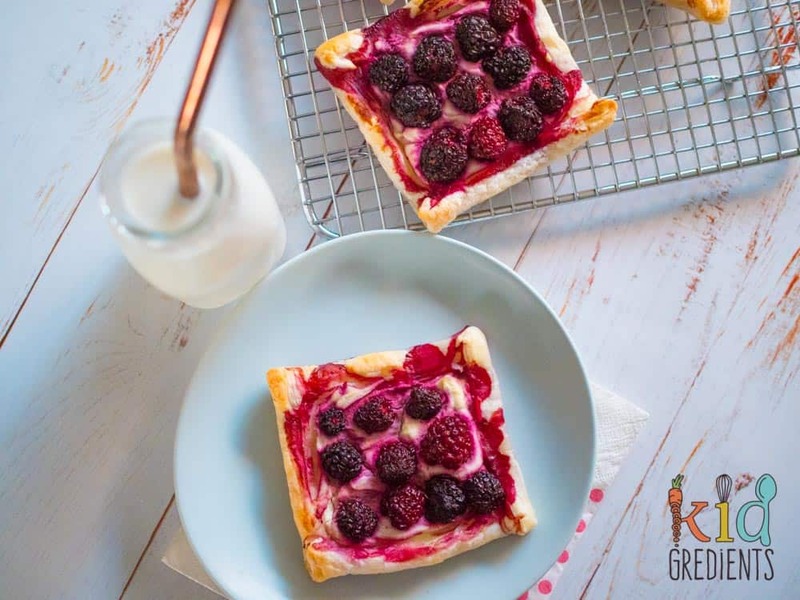 When it comes to quick and easy desserts for the family, you can’t go past these easy to make and yummy 4 ingredient berry tarts. They are the ultimate in super speedy dessert. Having frozen puff pastry in the freezer at all times is essential. Or at least I think it is. 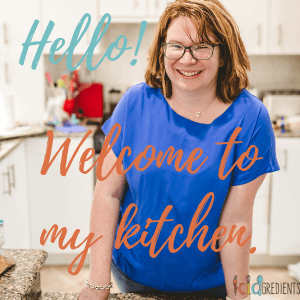 Whether you need to make sausage rolls in a hurry, or whip up some scrolls or make the world’s fastest dessert, it’s awesome to be able to grab it and make something. It has saved the day many a time for lunches too. 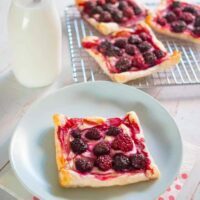 You don’t need to have blackberries to make these, they work just as well with strawberries, raspberries, or even mixed berries, so choose your favourite and get to it! I chose blackberries not only for their flavour- but for the fact that using them meant there would be one less thing in my freezer. Crazy but true! They also freeze really well once baked and then can be heated up quickly in the oven, meaning they don’t lose any of their crispiness. 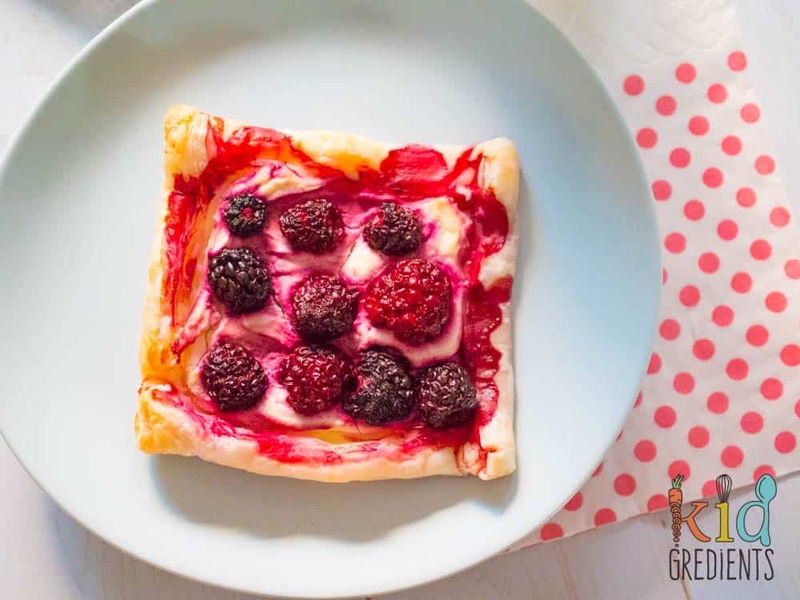 These 4 ingredient berry tarts are perfect for dessert or for a quick after school treat. 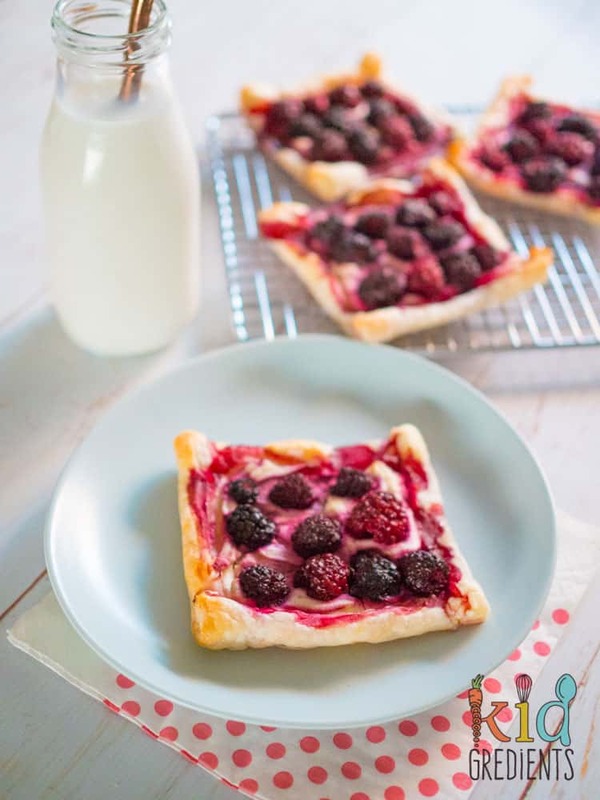 Because they contain no added sugar, the berries are the sweetener, but if you want them sweeter, add some icing sugar to the ricotta before you put it on the pastry. They could also be awesome for a quick and easy breakfast, as they involve very little prep time. For dessert, serve with creme fraiche or icecream or even custard. You could even dust with icing sugar for extra sweetening. 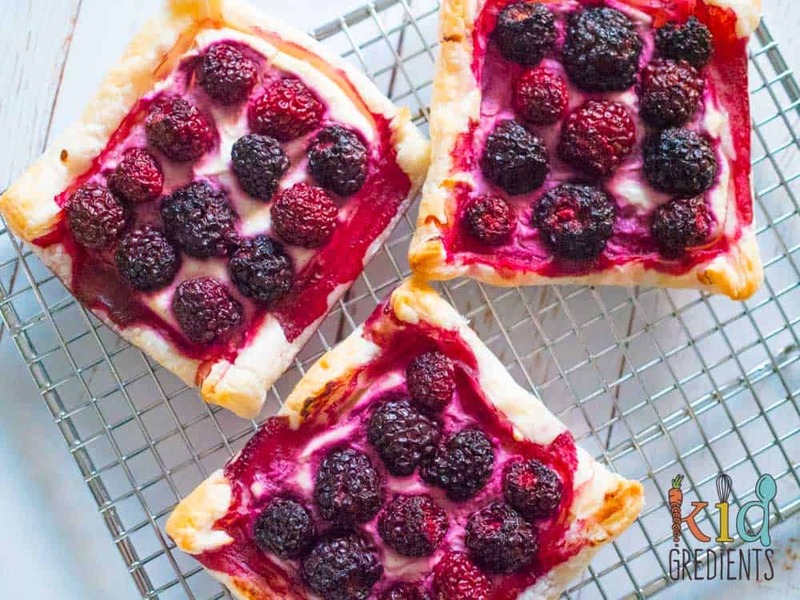 4 ingredient berry tarts. Super easy to make and extra yummy! Allow the pastry to thaw. Cut the pastry sheet into 4 squares and fold a 1cm border around the edges of each square. Place on a lined oven tray. 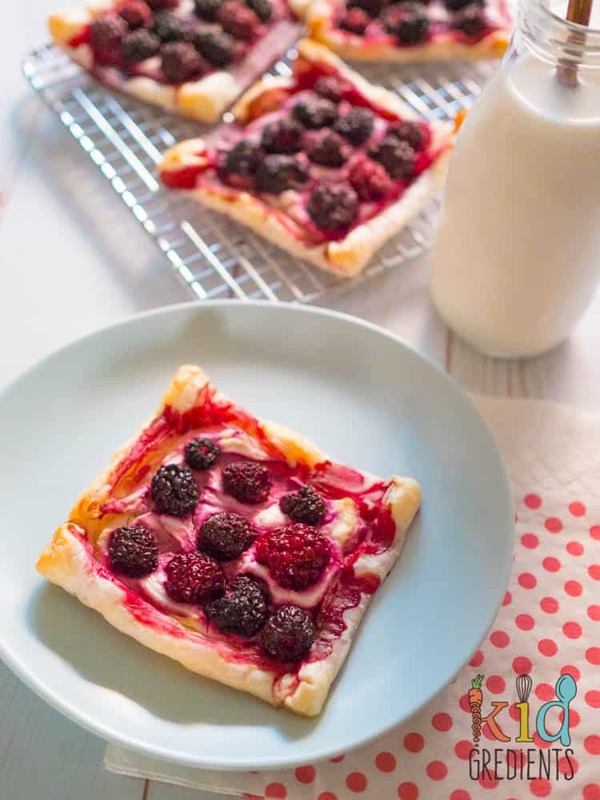 Mix the ricotta and vanilla together and smear over each pastry square within the border. Top with the berries and bake at 220 degrees for 12 minutes or until the edges are golden. Previous Post: « Lunchbox Review: Omie Box – is it a winter school essential?